This movie is an all time Irish Classic featuring John Wayne, Maureen O’Hara and Barry Fitzgerald. The story of an Irish emigrant, who returns to the place of his birth from America. Once back home he falls in love with Mary Kate Danaher (Maureen O’Hara). While Mary Kate’s brother is not keen on the match, most everyone else in the village encourages the relationship. 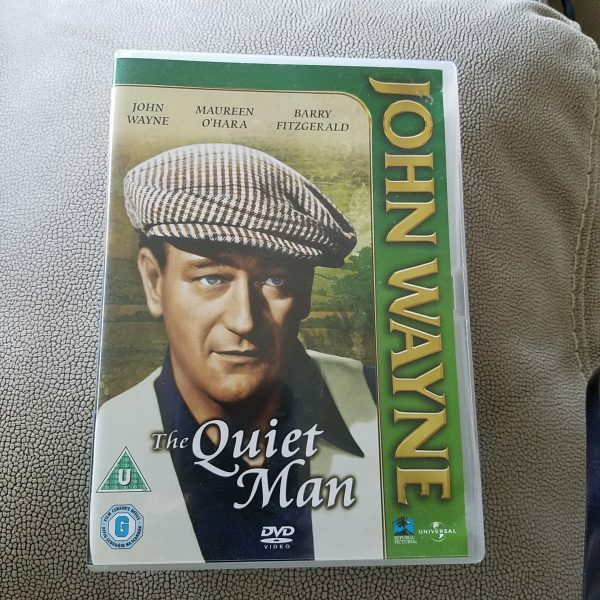 John Thornton (John Wayne) feels hampered by all the old Irish Customs that must be followed and this is where this movie plot make this production a real classic. This is the Ireland everyone loves and hopes to find when they get there. An absolute must for your DVD collection or that exceptional gift for your Irish friends and relations.